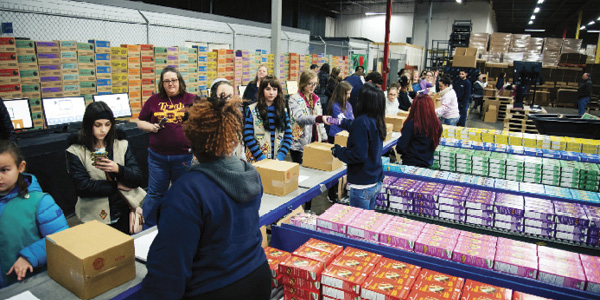 A fully baked logistics and mobile order solution brings Girl Scout cookie sales into the 21st century. The annual Girl Scout cookie drive is ingrained in American culture. In 2014, the annual sale entered the 21st century with Digital Cookie 1.0. This significant e-commerce innovation allows the scouts to use personalized web pages and smartphone apps to hit sales numbers that far exceed anything pre-digital. Since 1917, Scouts have been raising money for troop activities by selling cookies door to door, at family gatherings, at their parents' workplaces, and from card tables in public locations. Responding to Scout requests for a new way to sell cookies—one that might be considered safer, as well as more lucrative, in a world that is vastly different from past decades—meant the Girl Scouts of the United States of America (GSUSA) would have to create and implement a new way to take and fill orders.